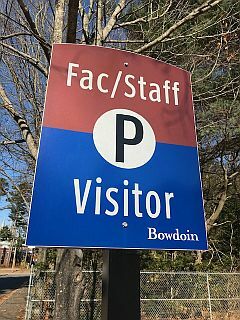 The College provides ample parking for faculty, staff, and visitors. All employees are expected to register their vehicles and obtain a parking decal to park on campus. 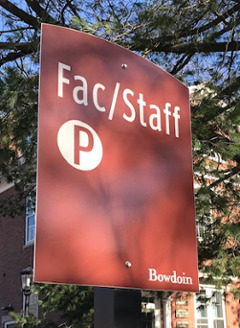 If you are visiting campus for one day or for the weekend, you do not need a parking pass. There is ample visitor parking at the Farley Field House and Watson Arena parking lots. Admissions visitors may park in the Burton-Little Admissions lot, off of Tower Drive. If you receive a ticket call the security administrative office (207) 725-3458. 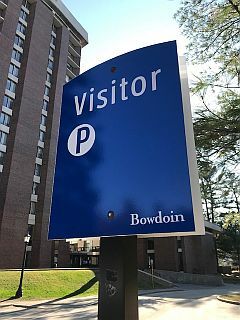 Extended visitors who will be on campus for more than one week day must also obtain a temporary parking permit that will be valid for an extended period of time. Once the form is complete you will be contacted on where to pick up your tag.